Our industry leading workouts have been exclusively designed and developed for effective whole body fitness, strength and mobilisation. Burn more calories in less time and feel great. You’ll work with the best passionate personal trainers - get your sweat on, meet new workout buddies before enjoying that post-workout coffee catch-up or retail therapy! So having seen Fitssi popping up all over the place on my Instagram feed, to say I have been intrigued by their concept would be an understatement! 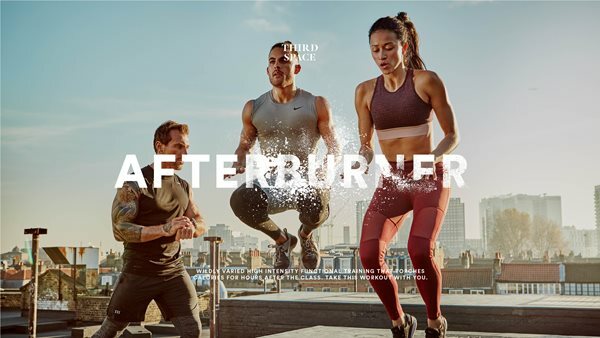 A brand built on sharing fitness with friends and following it with food? It's pretty much my ideal situation! 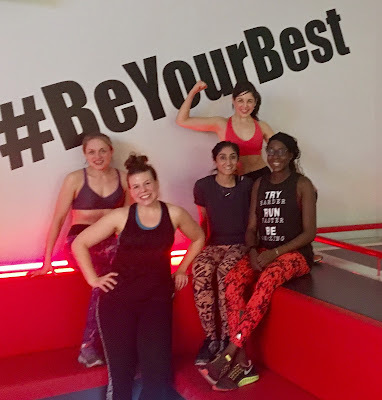 So, when I was invited along to try a class at their exclusive launch at Best's Bootcamp in Charing Cross, needless to say I was there in a heartbeat! 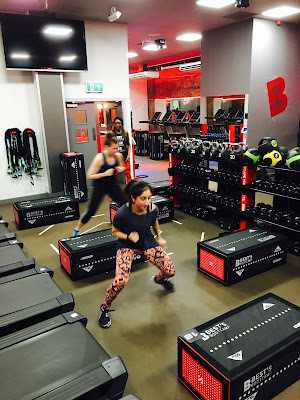 Best's Bootcamp, that's where they do the Barry's Bootcamp style sessions isn't it? Alternating between the floor and the treads? 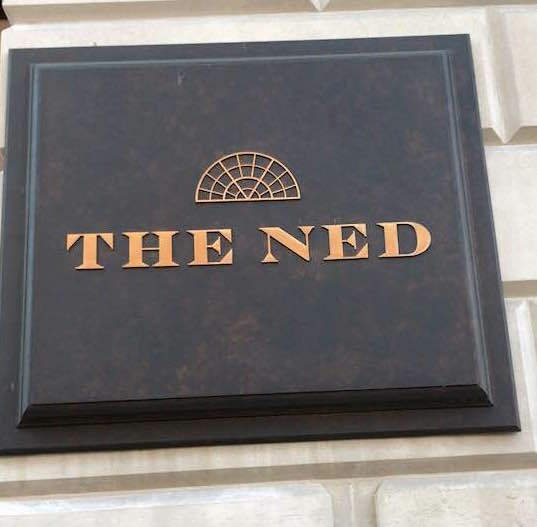 Yes, that's right - and you can read my review of Best's here. But the sessions with Fitssi are different. Focusing on bodyweight exercises only, the sessions can effectively be performed anywhere, and they use the facilities of various studios as venues to hold their own specialist sessions. From Best's Bootcamp in Charing Cross, to Lorna Jane in Covent Garden, AWPT in Westminster, Rude Health Cafe in Fulham, and Battersea and Clapham locations coming soon, it's pretty easy to find one local to you! OK, got ya. So if it's not the same as the studio workout, what is it? Good! 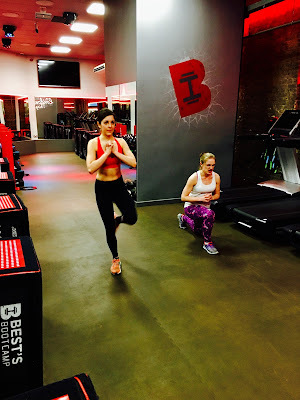 So Fitssi workouts are designed around the principle that every movement is a full body movement, which is much more true to our day to day lives. Did you know, for example, there are over 50 different variations of a squat, all of which target slightly different muscles? Me neither! 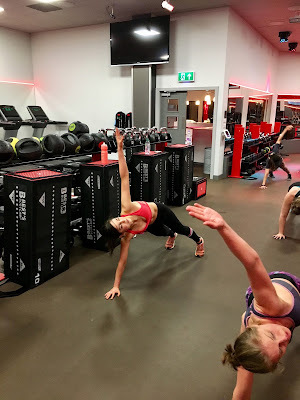 According to our instructor, aptly named Hunter, few people do, but it is moving and flowing through the variated versions that can make all the difference to your training. So, instead of exhausting muscles in isolation, the Fitssi concept of full body movement means you don't just strengthen a muscle, you improves the way your whole body moves and functions. By doing 50 different types of squats?! Don't worry, that wasn't the workout - as a leg-day phoebe would be my idea of hell! 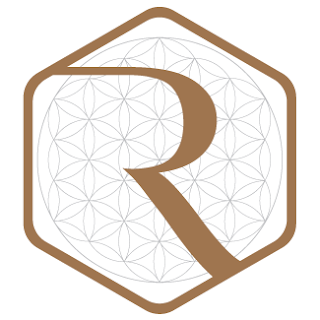 The way the session was constructed was actually one of the best parts, as it tackled all body parts in a progressive and easy to understand manner. Comprised of four different sets, each set was made up of four exercises focusing on different muscle groups- anything from sprints, to press ups, to lunges, to shuttle runs, burpees - you get the drift. After completing one round of four, we did the same group of exercises a second time, this time advancing them ever so slightly... having already learned the basic version. So sprints became high knees, lunges became side lunges into 45" lunges, basic press ups became moving press ups, etc etc. Our single hand chest presses - above - became single hand AND single leg...I'm sure you can imagine how fun that was! Sounds complicated.... I'd probably do it wrong! Ah, Hunter is there to stop that! As he explained, your average fitness class will be filled with anything from 20-40 people and, therefore , there's no way the instructor can give each participant the time and attention to correct poor form and spot weaknesses that need to be addressed. 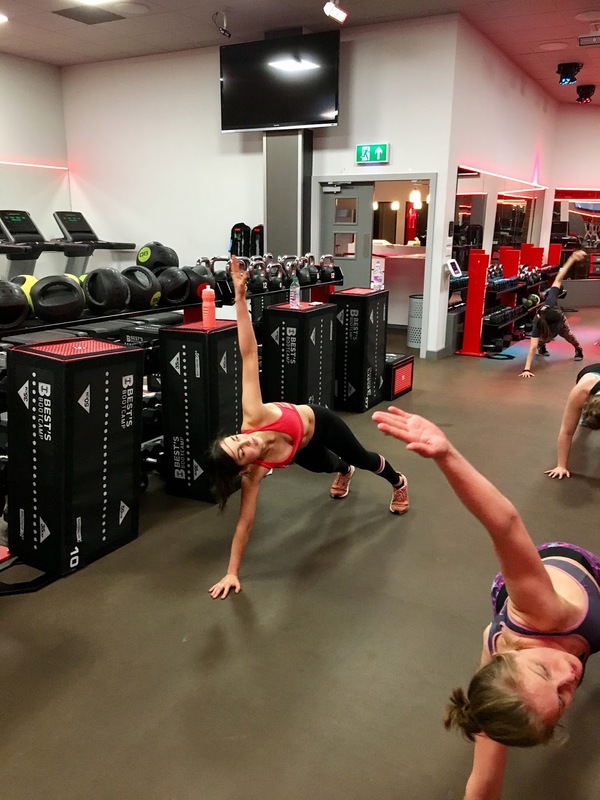 With each of the intimate Fitssi classes having just 4-5 people, there's still that buzz that comes with training in a group, but each movement is properly assessed and corrected, minimising your risk of injury and building core muscle strength. OK, I'm interested in trying. But I need people to go with, right? So whilst I'm lucky enough to have found a (rather large!) circle of friends who share my same fitness passion, admittedly it's not the same for everyone! 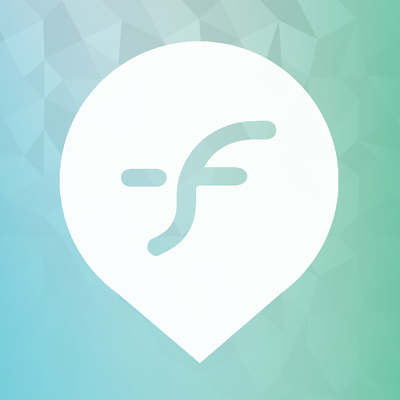 Hence Fitssi are currently developing an app that is set to revolutionise the fitness industry. Described as Tinder, but for fitness friends, it will connect users with other fitness nuts in their area, matching you based on your fitness interests and goals. You can then see fitness venues in your area, rate different trainers to make sure you pick the one most suitable to your goals, and even list your own fitness schedule for others to view- perfect for arranging class crossovers with your fitness buds! Sounds great! How can I get involved?! The app isn't quite complete yet, but fear not, you can still try out a Fitssi group PT session in the meantime. 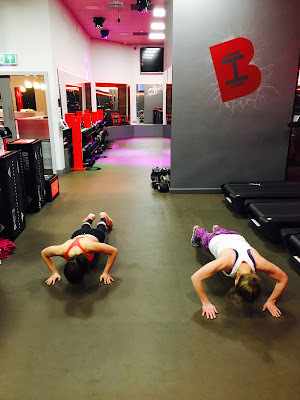 Usually one session costs £15, or you can currently book 4 sessions for £50 - take advantage of the offer by booking on https://www.fitssi.com . Make sure to follow them on Instagram and keep a look out on their page for upcoming events too - these guys are about to take the fitness industry by storm!